Fruitless Pursuits: Ahoy, Mateys! It Be The Best Holiday of the Year! Ahoy, Mateys! It Be The Best Holiday of the Year! 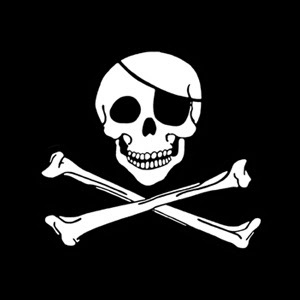 Aye, once again it be September the 19th; known to landlubbers everywhere as "Talk Like A Pirate Day"! The crew here at Fruitless Pursuits be a black-hearted, scurvy-ridden, piratical bunch if ever there were one, so of course we be big fans of it around these parts. Talk Like A Pirate Day were started in the mid-90's by legendary pirates 'Ol Chumbucket and Cap'n Slappy, who be still running the official site to this very day! Over the years, it has continued to grow in popularity and scope, with rum-soaked, pirate-themed parties breaking out the world over! I give ye Paul and Storm doing a song called "The Captain's Wife's Lament". It be one of my most favorite things ever. Make sure you watch some of the live versions that be on YouTube. A Game of Thrones Genesis PC Game Trailer! Friday Night Movie Review 6! 8-Bit Banter: King's Quest 3! What's Out? Week of 21st of September. New They Might Be Giants Music Video: Cloissone! CONTEST - Win This Dunny! Metal Mondays: Heavy Metal Magazine.